An Oregon right-of-way, moribund for four years, gets the resources and support it needs from its stakeholders to serve an eager and rapidly growing customer base. The premature obituary in 2007 was ominous enough: Died from a collapsed tunnel, the exclamation point to a deteriorating rail right-of-way. The Coos Bay branch of the Central Oregon & Pacific Railroad, then a RailAmerica property, had been shut down as too costly to repair. 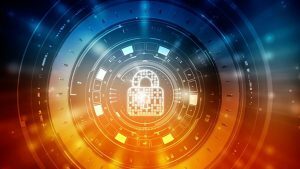 But stakeholders large and small in Oregon’s Lane, Douglas, and Coos counties didn’t accept such an outcome, and their concerns were heeded at the state and federal levels. “The economic impact on the South Coast communities was immediate and severe,” says Rep. Peter DeFazio (D-Ore.), who staffs an office in Coos Bay, Ore. “Timber companies and other industrial shippers were forced to truck their products, which was far costlier.” In 2009, the Oregon International Port of Coos Bay bought the derelict 111-mile branch, and rehabilitation efforts were under way. Fast-forward to September 2011, when Coos Bay Rail Link opened for business with a vengeance. The 134-mile short line is charging ahead in 2014, backed by a commitment from its operator, ARG Transportation Services, and by the Port of Coos Bay and the state of Oregon itself. 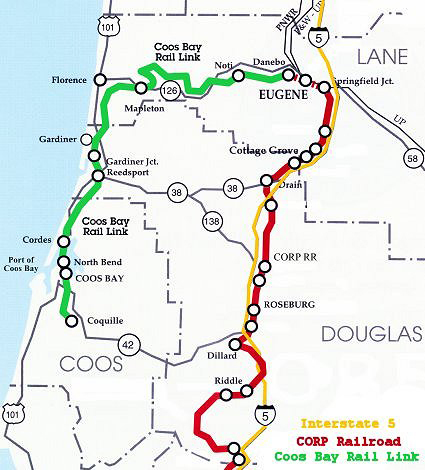 With a donation of 23 miles of right-of-way from Union Pacific, stretching from Coquille to North Spit (outside Coos Bay), and along with the Coos Bay Bridge donated earlier by UP, fertile business conditions were in place for a short line railroad to put rail service back into action—and recognition as Railway Age’s 2014 Short Line of the Year. “We created something out of nothing,” Coos Bay Rail Link’s former General Manager Tom Foster says. “Together, we revived a transportation link vital to rural Oregon manufacturers and businesses that trade nationally and globally. We’re ecstatic about this honor.” Foster now is vice president of marketing for parent ARG Transportation Services. Railway Age has followed the rapid rise of Coos Bay Rail Link with interest and continuous coverage, while Engineering Editor (and RT&S Editor) Mischa Wanek-Libman made it a point to be on the property herself in November 2012 to see the goings-on. Coos Bay Rail Link’s rapid rise to prominence caught the attention of editors and industry officials alike. On Aug. 16, 2011, Eugene, Ore.-based ARG Transportation Services signed an interim contract with the Oregon International Port of Coos Bay to operate Coos Bay Rail Link. ARG Trans at that time announced the appointment of Tom Foster as Coos Bay Rail Link’s general manager. Foster, along with ARG President Scott Parkinson, immediately and literally hit the ground walking, reaching out to former customers and potential new ones. Those customers needed reassurance that Coos Bay Rail Link was here to stay. 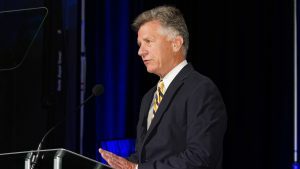 Foster and Parkinson, among other items, pointed to Coos Bay Rail Link’s financial backing of $31 million in grants and loans from 10 different sources, including SAFETEA-LU, Connect Oregon, federal TIGER II, the American Recovery and Reinvestment Act, and the Oregon state lottery, among others. Coos Bay Rail Link’s infrastructure needs were staggering: Nine rail tunnels, 150 water crossings that included three major swing spans and 115 steel and timber bridges, and miles of right-of-way clogged by trees and brush growth. Add to that the needs of 250 public and private grade crossings, 14 of which are signalized, and the task was daunting at the very least. Contractor teams led by Balfour Beatty Rail went to work, replacing 94,000 ties and delivering 54,000 tons of ballast. Grade crossings were upgraded. Signals were renewed. Drainage, a major overdue concern along the right-of-way and especially within the numerous tunnels, was addressed. One break: Coos Bay Rail Link was able to continue using much of the existing rail inherited from Southern Pacific, allowing it to run 286,000 pound loads once operations resumed. Foster’s prediction was on the mark, with praise for Coos Bay Rail Link’s efforts raining down from the likes of Eugene-based Seneca Sawmill Co., Allweather Wood, LLC of North Bend, Swanson Bros. Lumber Co., Inc. of Noti, and Coos Bay-based Treez. Foster and Parkinson also reached out to Class I partner Union Pacific, seeking an interchange in Eugene, Ore. “For our part, we have increased the supply of centerbeam railcars for lumber loading and fostered a strong working relationship at the local operations level to ensure a fluid interchange with UP,” says UP Senior Director-Short Line Marketing Todd A. Whitman. “We know of recent highway conversions of 1,860 trucks, equivalent to 620 railcars, off of intrastate state highways,” Whitman says. “We have been happy to support [Coos Bay Rail Link] with this endeavor and fully encourage their business development efforts.” At Eugene, Coos Bay Rail Link also interchanges with Central Oregon & Pacific and, via UP, with Portland & Western railroads. Coos Bay Rail Link negotiated with other short line railroads to improve shipper opportunities, resulting in rising traffic volume and, not coincidentally, increased employee staffing and more motive power (from one locomotive to five) required to handle the increased business. 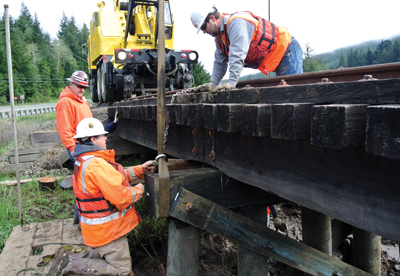 In the fourth quarter of 2013, Coos Bay Rail Link, aided by the Port of Coos Bay, completed a new siding in Finn, Ore., just west of Eugene, allowing the transloading of logs and rock products destined for the state’s coastal region. The facility is expected to generate at least 2,000 loads in 2014; the first car was loaded in late February. Indeed, Coos Bay Rail Link hopes to replicate its early established growth rate. In 2012, it moved 2,480 revenue carloads, “during a period when the railroad only had access to several major shippers for about half the year,” notes Port of Coos Bay CEO David Koch. 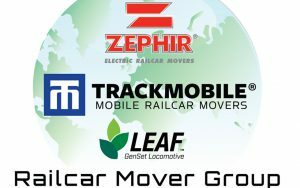 “2013 saw Coos Bay Rail Link increase revenue traffic by 95% to 4,845 revenue cars.” Coos Bay Rail Link started operations in late 2011 with two customers; that’s now up to 13 in 2014. Instead, a prediction of a hale and hearty future for Coos Bay Rail Link, and the customers and territory the railroad serves.